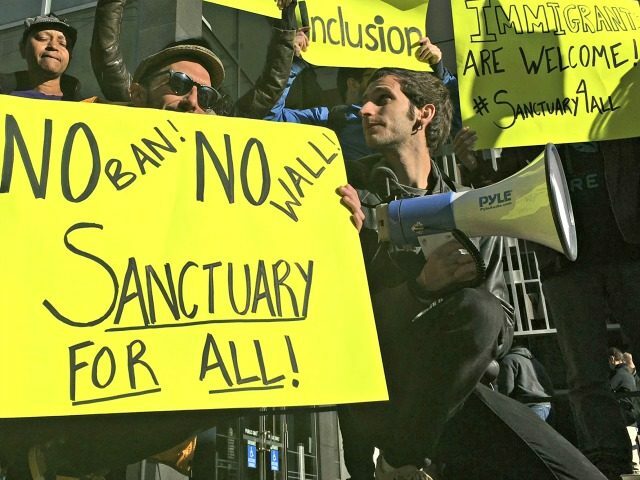 The City of Chicago, represented at taxpayer expense by the powerhouse law firm WilmerHale, has won a victory against the Justice Department’s efforts to rein in certain federal subsidies in response to the City’s deliberate non-compliance with immigration enforcement. The U.S. Court of Appeals for the Seventh Circuit, based in Chicago, affirmed a U.S. district court’s imposition of a nationwide injunction preventing Attorney General Jeff Sessions and his Department of Justice from withholding “Bryne Grants” for state and local law enforcement in jurisdictions that adopt so-called “sanctuary” policies. All three judges on the panel agreed with the district court that Chicago has a reasonable likelihood of prevailing on their argument that withholding funds violate constitutionally mandated separation of powers between Congress and the executive and impermissibly infringes on Chicago’s sovereignty under federalism. All three are Republican appointees. The majority, Judges William Bauer and Illana Rovner, appointed to the Seventh Circuit by Presidents Gerald Ford and George H.W. Bush, also decided the district court was within its authority to apply their injunction nationwide while the case is pending, throwing Sessions’ anti-sanctuary city agenda into jeopardy. The Chicago case is part of a broader push to demand demonstrated compliance with a federal law, 8 U.S.C. § 1373, blocking interference with federal immigration enforcement before Bryne Grants are distributed. That strategy is facing legal challenges from liberal sanctuary jurisdictions affected by it throughout the country. The U.S. Court of Appeals for the Ninth Circuit is also hearing a similar case after a district judge in San Francisco issued an injunction similar to the one in Chicago. Other jurisdictions that do not want to comply with the Notice and Access conditions were not parties to this suit, and there is no need to protect them in order to protect Chicago. An injunction, particularly a preliminary injunction, is an extreme remedy. A nationwide preliminary injunction is more extreme still. One should only be issued where it is absolutely necessary, and it is far from absolutely necessary here. Consequently, I would remand with instructions to the district court to modify the injunction so as to prevent the Attorney General from enforcing the conditions only concerning Chicago’s application for funds. Our role in this case is not to assess the optimal immigration policies for our country; that is not before us today. Rather, the issue before us strikes at one of the bedrock principles of our nation, the protection of which transcends political party affiliation and rests at the heart of our system of government—the separation of powers. Nationwide injunctions allow a single federal district judge to set policy by ordering relief outside the scope of the particular case. Many in the legal community have expressed concern that the use of nationwide injunctions is inconsistent with the separation of powers, and that their increased use creates a dangerous precedent. We will continue to fight to carry out the Department’s commitment to the rule of law, protecting public safety, and keeping criminal aliens off the streets to further perpetrate crimes. Breitbart News legal editor Ken Klukowski predicted at the outset of this case that it and its sister cases will eventually wind up at the U.S. Supreme Court. The Justice Department is expected to pursue further action, but the path they decide to take to the Supremes is not yet public. The case is Chicago v. Sessions, No. 17‐2991 in U.S. Court of Appeals for the Seventh Circuit.